Besan/ Gram flour, sugar and ghee are the ingredients which yields this melting magic with proper consistency.Consistency is very important in this recipe and also the ghee you use plays a major role in the taste. 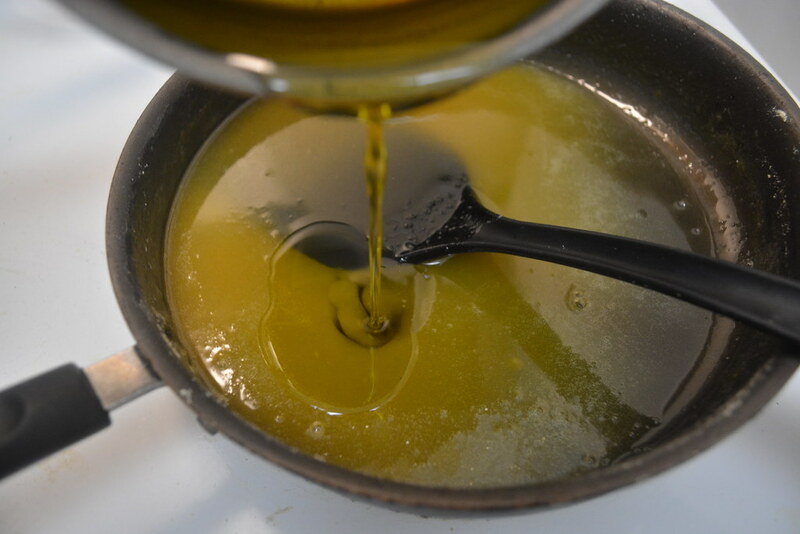 So using melted ghee from butter is best. 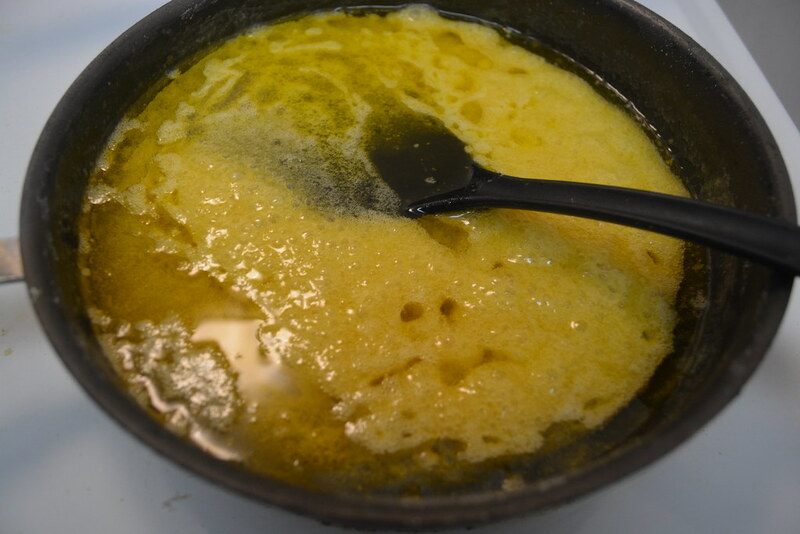 I'll post the recipe of getting ghee from butter soon. I tried this recipe a year ago. So thought it to post now. 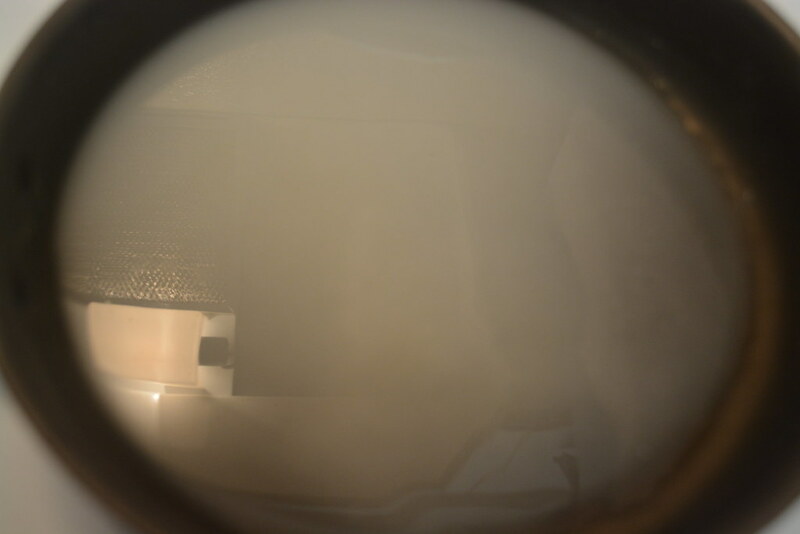 While preparing, keep the flame in low, whenever you got doubt about consistency, and at the end stage, always keep the mixture in low flame and check the consistency. It will be like soft palkova and finding this consistency is really very important, so do it carefully. 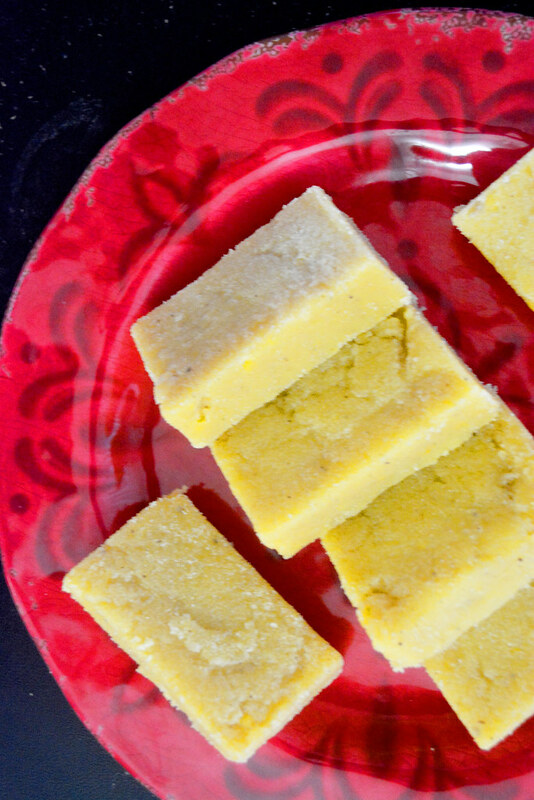 If you get the correct consistency, mysore pak will be really the melting magic or else it will be hard. 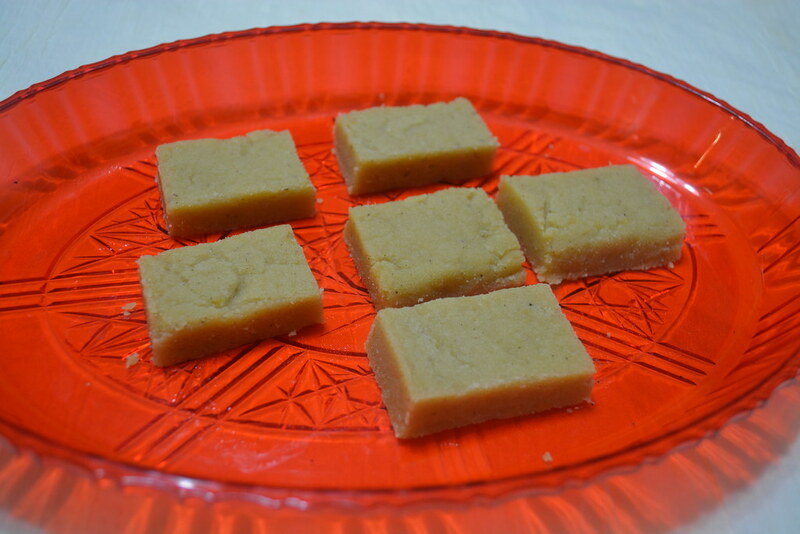 This time I made mysore pak with only half cup and since it came out like melting magic, hubby saved this and was very careful not to finish it up soon... . My son, he loved it too. He was asking pointing it to that and enjoyed it. 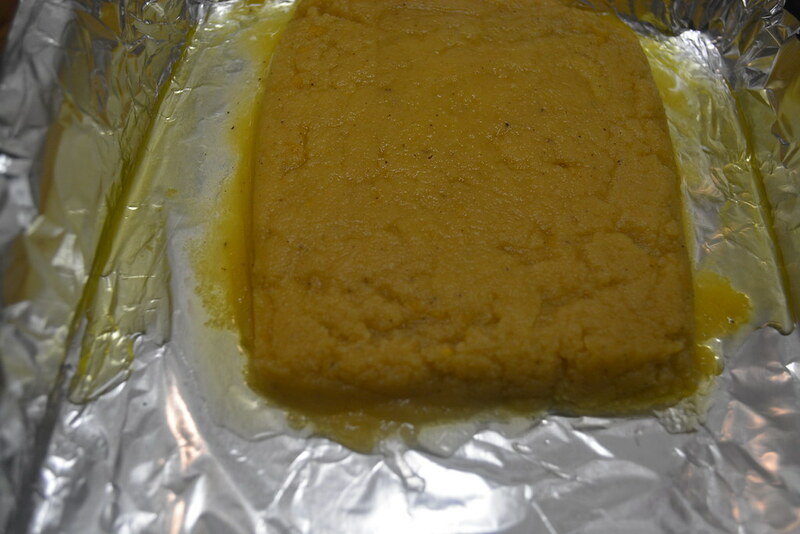 When considering health, it has more ghee but the taste is heavenly...Enjoy cooking the mysore pak. Sieve the besan without lumps and measure half cup from it. Add sugar in a pan. 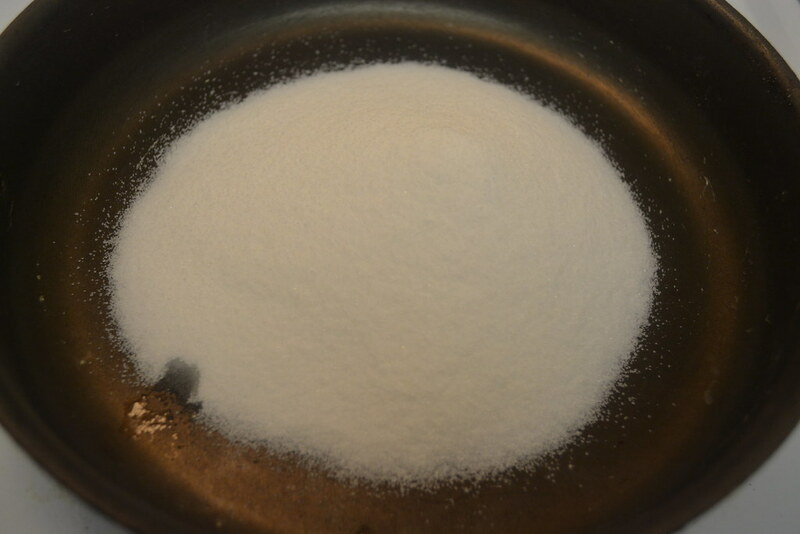 Dissolve it in pan with water just to immerse it and keep it in high flame. When the sugar nears the consistency keep it in medium flame. Wait until the sugar solution reaches one string consistency. When the one string consistency of sugar is reached, add besan slowly and now keep the flame in low. 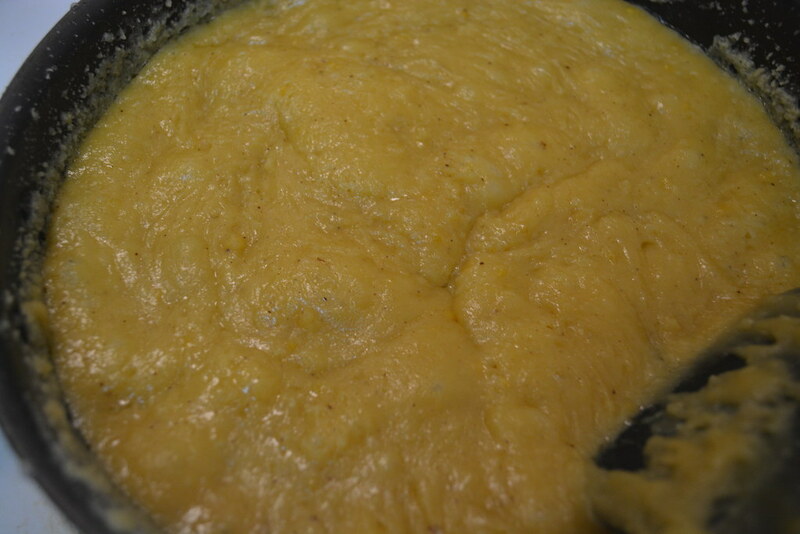 Stir until besan is fully dissolved in sugar syrup and the lumps are gone almost. 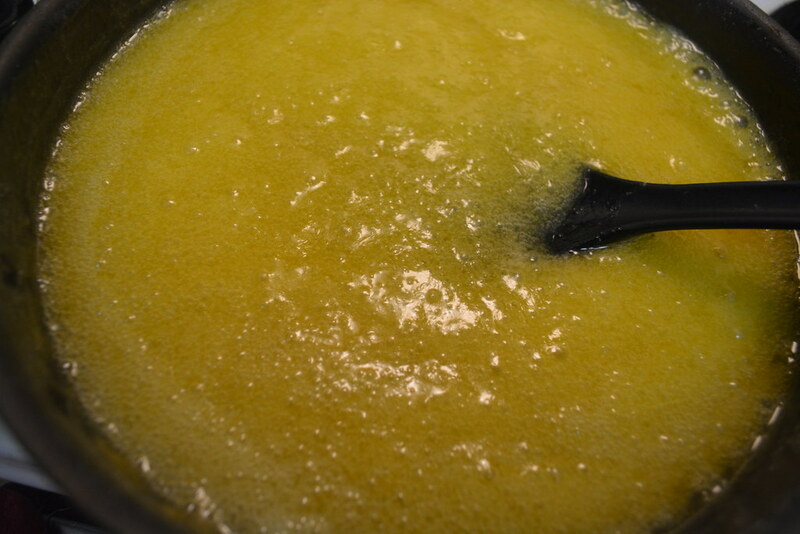 Then add ghee little by little with medium flame until it absorbs all the ghee. Now the mixture will start to boil, at this stage, bring the flame to low. Take the pan from the stove at instance when it starts to boil again and check when the mixture starts to leave the sides and it looks almost like palkova. 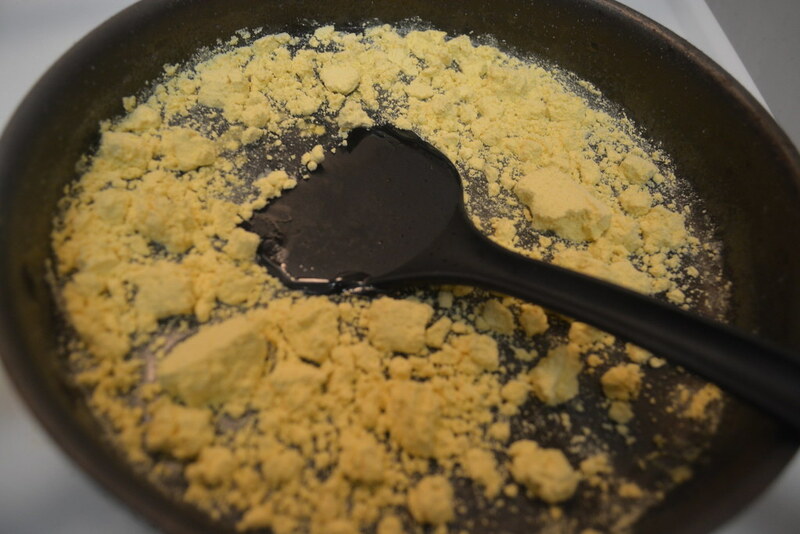 Now remove the pan and pour the mixture into greased tray/ foil in tray. Allow it to cool. After 10 to 15 mins cut the pieces by drawing lines with knife. When it completely cooled down, remove the pieces from the tray and serve and enjoy the mysore pak which melts in your mouth. 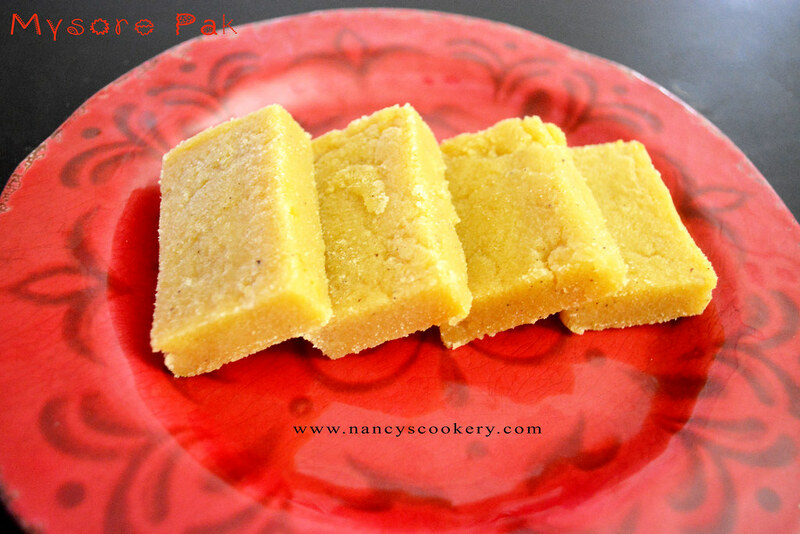 Using good qulaity ghee is more important, because it is the ghee which gives the taste of mysore pak. 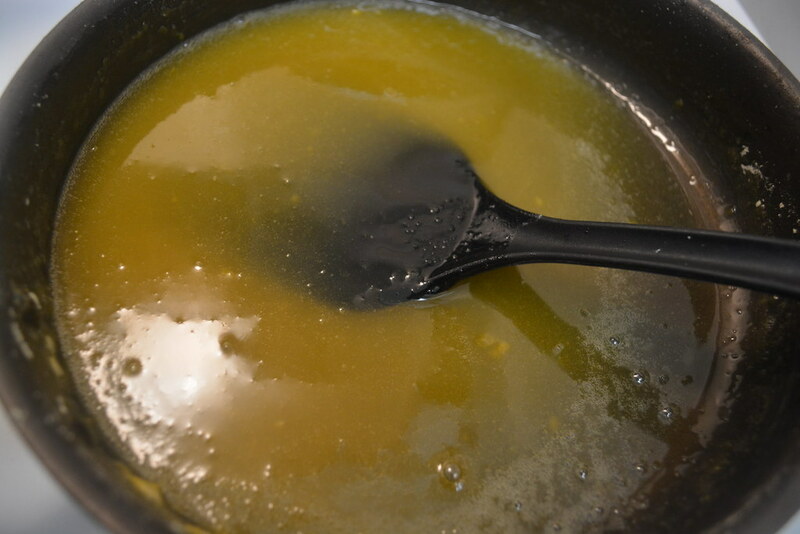 So it is best to use melted ghee from butter. Actually this type of ghee gives the good taste of mysore pak. Sieving the besan is important, because it helps to prevent lumps and gives you fine flour. 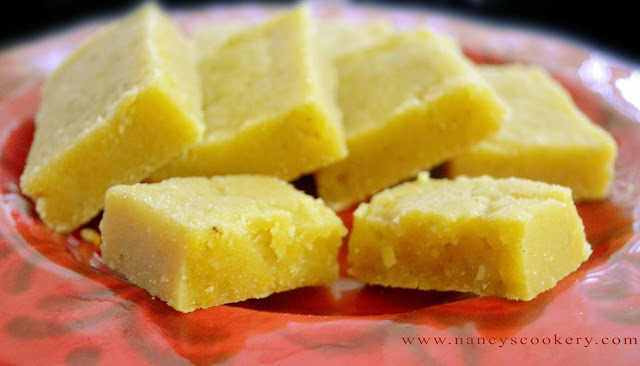 If you do not sieve, small bite sized lumps will be there in final mysore pak. One string consistency of sugar syrup is also important. To find the consistency of melting magic is difficult. 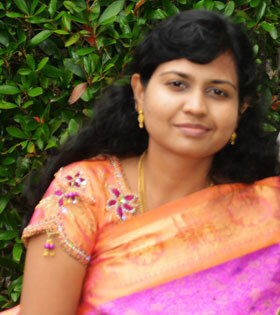 So make to keep the flame in low, when the mysore pak is bubbling. 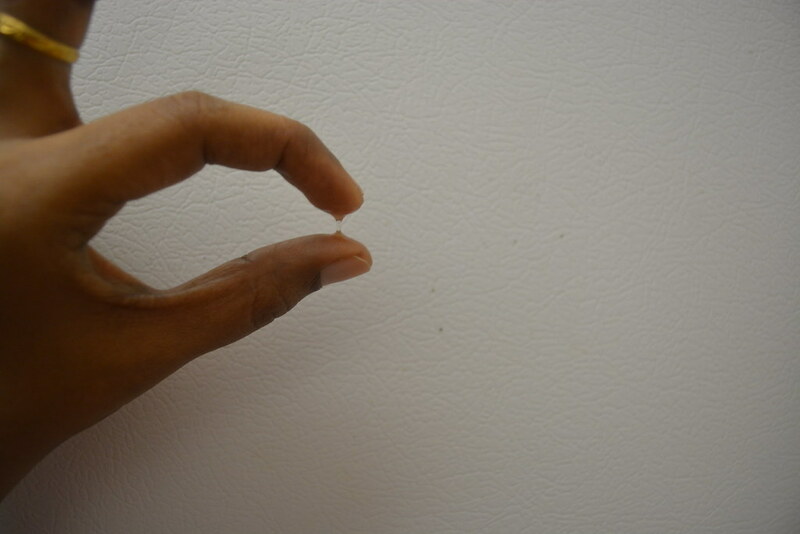 First it will be jelly like, don't stop at this stage. 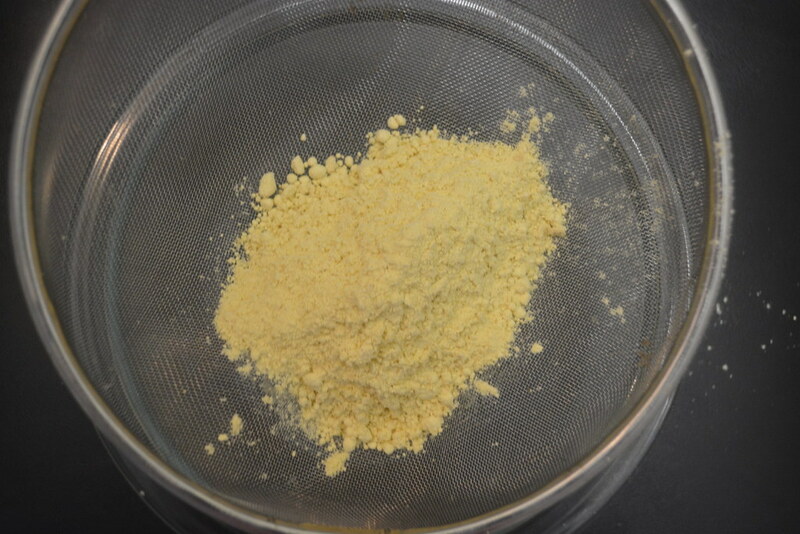 It will be somewhat like palkova and you can scoop the entire mixture with ladle to center, this is the consistency.